Movieline magazine used to run a back-page column called "Greatish Performances" that celebrated those terrific actors in roles that had been either overlooked or forgotten, or perhaps even Oscar-nominated but not victorious. These 10 movies, newly streaming on Netflix, feature at least that many greatish performances, some lead, some supporting, but all memorable. Astoundingly, David Lynch followed up his nightmarish, cult classic debut feature Eraserhead (1977) with the highly respectable The Elephant Man (1980), based on nonfiction books about the real-life Joseph Merrick. While Lynch kept some of his signature touches, such as black-and-white film, an unsettling, hissing soundtrack, and two bizarre, surrealistic flashback sequences, he also concentrated on the film's emotional power. Though many actors played the Merrick role on stage, John Hurt won the movie role and endured a brutal makeup regimen to replicate Merrick's particular look. But despite that, Hurt gives a tender, heartbreaking performance, making this one of the most powerful tear-jerkers ever made. 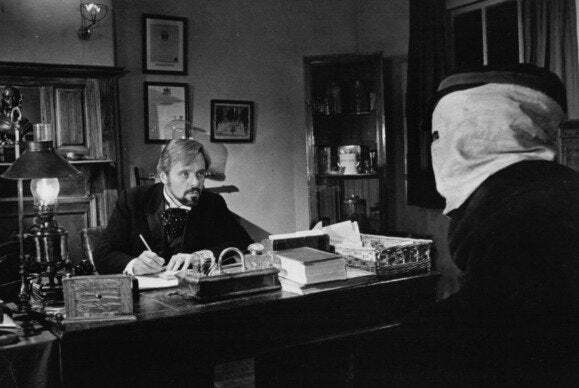 In supporting roles, the movie also boasts the award-winning likes of Anthony Hopkins, Anne Bancroft, John Gielgud, and Wendy Hiller. A big winner at Sundance, Girlfight (2000) came packed with the debut performance of Michelle Rodriguez, and it's a stunner. The film opens with her angry, defiant glare, and it's enough to impress or distress anyone. She plays Diana Guzman, a teen who decides she wants to learn boxing. She falls for a male boxer named Adrian (in a backward reference to Rocky), and as he tries to lose weight and she tries to gain it, they end up in the same weight class. Filmmaker John Sayles was a behind-the-scenes shepherd for this film, and though it's written and directed by Karyn Kusama (also her debut), it has a Sayles-like feel to it, a focus on strong writing and characters with a simple, effective, middle-distance direction. It could have been fairly feel-good goop, but instead it's naturalistic and heartfelt. 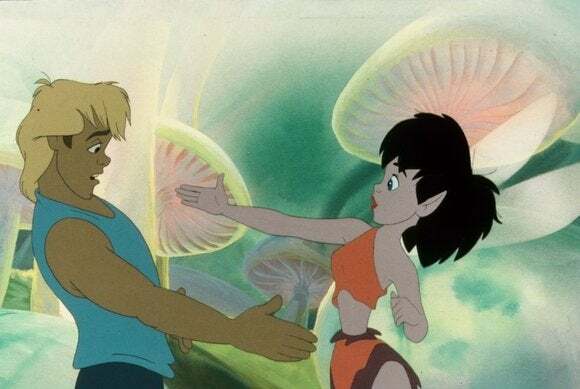 Despite a small cult following, 20th Century Fox's FernGully: The Last Rainforest (1992) isn't one of the greatest animated movies of all time, but it is notable for several things. One is that it has almost the exact same plot, note for note, as Avatar, except more spirited and done in less than half the time. Another is that it contains Robin William's first big screen attempt at voicing an animated character. He plays Batty, a bat that was experimented on by scientists and can be forgiven for saying crazy things—it's a perfect setup for Williams to riff, and even sing a wonderfully lunatic song. A few months later, Disney's Aladdin was released, featuring Williams' memorable voice performance as the Genie, and sadly, his work in FernGully was overlooked. Bill Kroyer, who had been nominated for an Oscar for Best Animated Short in 1989, directed. 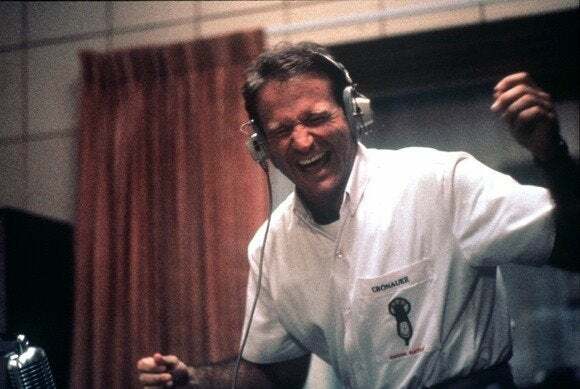 Williams gave his first Oscar-nominated performance in the terrific Good Morning, Vietnam (1987). (He lost to Michael Douglas in Wall Street.) It was another role that had been specifically tooled for his talents. 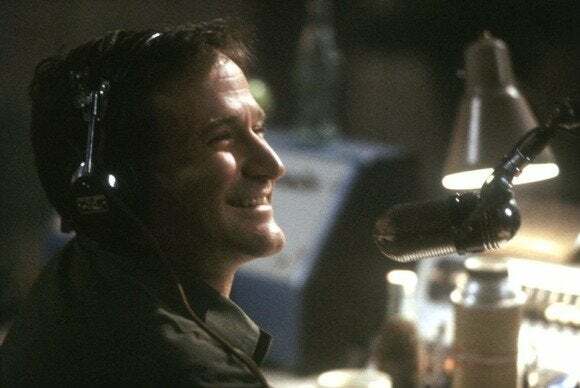 He plays the real-life Adrian Cronauer, an army DJ stationed in Vietnam, who decides to shake up military radio's conservative rules and regulations by telling jokes and playing loud rock 'n' roll. Although the real Cronauer wasn't quite as outrageous, Williams was allowed to riff on any Vietnam or 1960s-era jokes he could think of, doing accents and characters, reading forbidden news reports, and anything else that pushed the envelope. While Williams went wild, director Barry Levinson kept the rest of the movie around him contained and controlled. It doesn't always come together smoothly, but Williams' energy and earnestness helps. Forest Whitaker, Bruno Kirby, Robert Wuhl, J.T. Walsh and Richard Edson also star. Director Cecil B. DeMille was a very successful and powerful filmmaker, but often criticized for being a creator of empty spectacles. 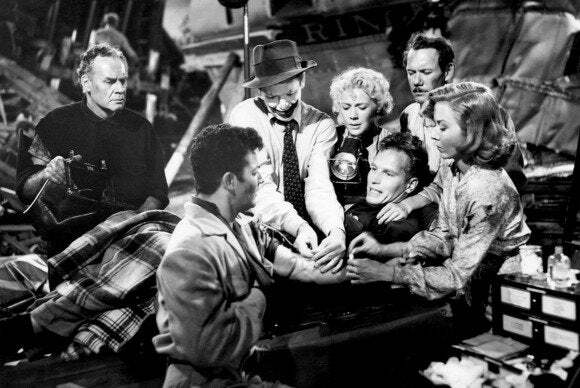 The Greatest Show on Earth (1952) is often considered one of the weakest films ever to win a Best Picture Oscar, especially when it beat out contenders like High Noon and The Quiet Man (and the non-nominated Singin' in the Rain). But it is a highly entertaining and skillful circus picture, with Charlton Heston as the ringmaster, dealing with a season of financial problems and other troubles. Also in the cast are Betty Hutton, Cornel Wilde, and Dorothy Lamour, all very fine in their hokey roles. Best of all is the great James Stewart as perhaps the ultimate sad clown, who never takes off his makeup and who has a dark past. And Gloria Grahame, one of the toughest, sexiest dames in the history of movies, is memorable as Angel, a circus performer with a secret crush on Heston. 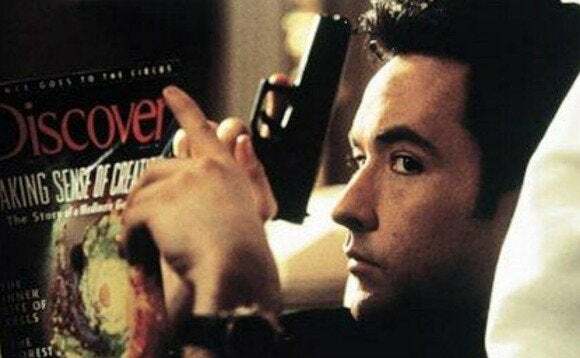 John Cusack cowrote this exceedingly clever hitman comedy that's part Pulp Fiction and part Say Anything. In Grosse Pointe Blank (1997), he plays Martin Blank, a hitman who sees a shrink (Alan Arkin) for his work-related stress. He gets a job in his own hometown, and reluctantly attends his 10-year high school reunion. He also meets his old girlfriend, Debi (Minnie Driver), who wants to know why he simply disappeared after high school. Director George Armitage, a specialist in crime movies, gives the actors a little extra space, a little breathing room to make their characters come to quirky life. Cusack and Driver are at their best, as is the crusty, funny Arkin. Jeremy Piven is also memorable as an old high school chum, but Dan Aykroyd steals the picture with his hilarious, yet menacing turn as a rival hired killer. Philip Kaufman's Invasion of the Body Snatchers (1978) is one of the few remakes that deserves to stand proudly alongside the original. In this case, the original, released in 1956, was a parable about Communism, but Kaufman's version is something more complex and brilliant. Some of the characters are already "pod people" before anything happens, i.e. plugged into television sets; Kaufman shows the pods as organic and green, whereas the human world is all metal and plastic. The director made brilliant use of San Francisco locations as well as creepy music and terrific casting. Donald Sutherland, Brooke Adams, Jeff Goldblum, and Veronica Cartwright are great as the main characters, but the masterstroke was Leonard Nimoy playing a psychologist who thinks everyone is crazy. The director and star of the original, Don Siegel and Kevin McCarthy, appear in cameos, as does Robert Duvall. Richard Linklater's latest film Boyhood is earning great acclaim at the moment, but his biggest box office success was this highly entertaining comedy, starring a perfectly cast Jack Black. He plays a 30-something slacker whose rock 'n' roll dreams refuse to die even if he can't come up with the rent. 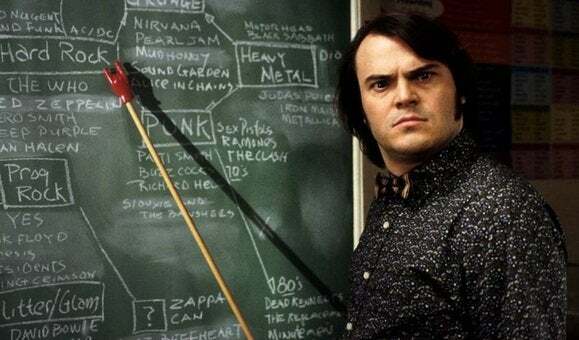 He steals a substitute teaching job from his best friend (Mike White, who wrote the script) and begins teaching the upper-class kids in a prep school all about the glory of rock 'n' roll. Normally this kind of formula comedy is about the loose cannon learning some responsibility while the uptight characters learn to loosen up and live, but in School of Rock (2003), Linklater concentrates on moments, details, and conversations, and comes up with a surprisingly touching and always hilarious winner. This was one of Black's greatest roles, until 10 years later when he worked with Linklater again on the amazing Bernie. Even though Charlton Heston won an Oscar for Ben-Hur, he was seldom considered a great actor. But he gave one of his best and most mature performances in this rugged and ramshackle Western. 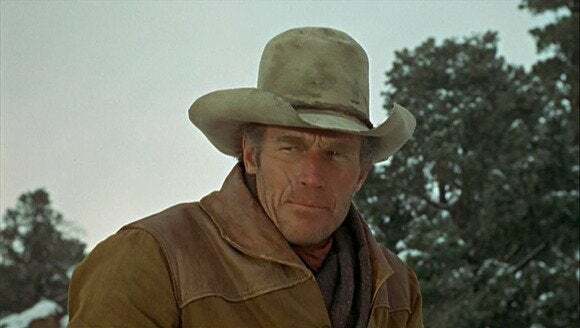 In Will Penny (1968), he's a middle-aged, hardened, weary cattleman who prepares to spend the winter keeping watch over a ranch. He discovers a woman (Joan Hackett), and her son (Jon Gries) staying without permission in a cabin. He also crosses paths with a the nasty Quint brothers (Donald Pleasence and Bruce Dern). Though there are a few good action scenes, most of the movie follows Will Penny as he tries to find his place in the world. Is he too old for the trail, and does he deserve the love of a good woman? The cast also includes Lee Majors in his movie debut, plus Western character actors Ben Johnson, Slim Pickens, G.D. Spradlin, and Clifton James. Tom Gries wrote and directed.